Florida lawmakers approve measure that would raise the minimum age for purchasing firearms. Florida lawmakers on Wednesday approved a measure that would raise the minimum age for purchasing most firearms and devote millions of dollars to amping up school security, The Hill reported. Lawmakers in the Florida House voted 67-50 to approve the legislation, which raises the minimum age to purchase rifles from 18 to 21 and imposes a three-day wait period for most purchases of those guns. The bill also creates new mental health programs for schools and aims to keep guns out of the hands of individuals who show signs of mental illness. The legislation now goes to Florida Gov. Rick Scott to be signed. 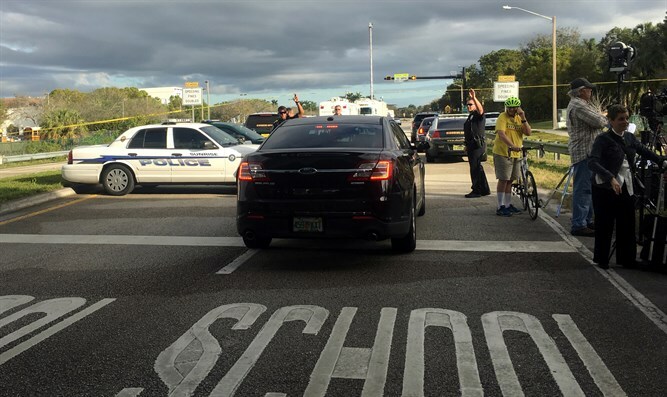 The compromise on new gun control measures came in response to last month’s shooting at the Marjory Stoneman Douglas High School in Parkland, that left 17 people dead and more than a dozen others injured. The shooting at Stoneman Douglas High School reignited the national debate over gun control measures, putting pressure on lawmakers at the state and national levels to take swift action on gun violence. The passing of the legislation came hours after the accused shooter, 19-year-old Nikolas Cruz, was formally charged with 17 counts of first-degree murder and 17 counts of attempted murder. Cruz's public defender has said that the teen will plead guilty to the charges if prosecutors agree to not seek the death penalty. The state attorney prosecuting that case, Michael Satz, has not yet said whether he will seek a death sentence for Cruz, according to The Hill. The FBI admitted after the shooting it had received a tip that Cruz had a "desire to kill" and access to guns and could be plotting an attack, but agents failed to investigate. A person who was close to Cruz had called the FBI's tip line on January 5 and provided information about Cruz's weapons and his erratic behavior. The FBI acknowledged that the tip should have been shared with the FBI's Miami office and investigated, but it was not.